In the highly politicized U.S. battle over pensions and health care, leading Republican lawmakers will take the first crack at the long-term financial problems at least by next late next month, according to Rep. Eric Cantor R-VA. The Republican proposals will come as a response to President Barack Obama's 2012 federal budget proposal, which he unveiled on Monday. Obama's plan is a freeze in non-security discretionary spending and other measures which would reduce annual deficits to 3 percent of Gross Domestic Product by the middle of the decade from the high of 10.9 percent of GDP expected in fiscal 2011. However it didn't touch on how to deal with Social Security, Medicare and Medicaid, the so-called entitlement programs. Obama said on Monday his proposed 2012 budget was a down payment, on reducing the federal budget deficit, but said more work was needed to address long term challenges. 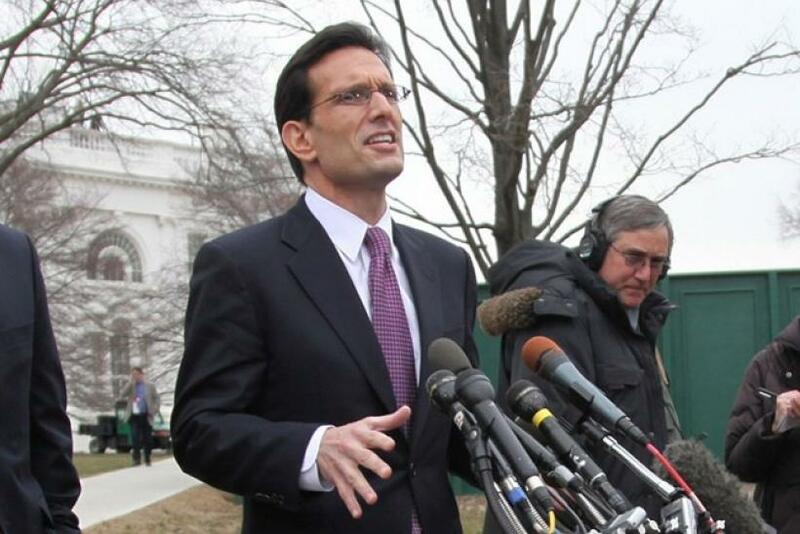 Cantor said that on individual items there were probably some areas of agreement between the President and Republicans. But we can't keep taking the savings and going to spend it, he said. The object here is to cut. Cantor said that the President's plan just misses the mark of living up to the expectations Obama laid out in his State of the Union speech in January. Asked if Cantor expected adjustments to Social Security and Medicare, Cantor said he was hopeful that we can get some cooperation from [Senate Majority Leader] Harry Reid [D-NV] and the President, because these are programs that touch the lives of every American and we don't want, mor can we, make these changes by ourselves. Cantor said you should stay tuned for details on specific Social Security plans.